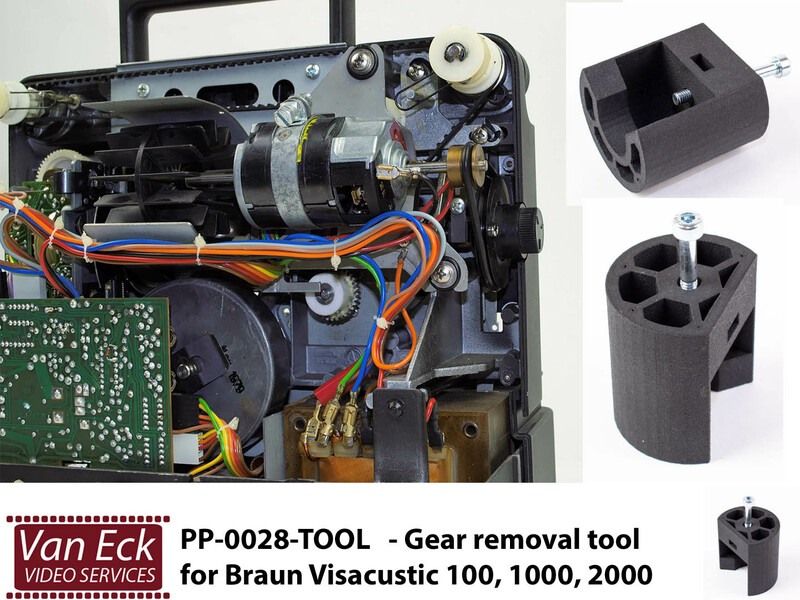 This tool makes it a lot easier to replace the gear in the Braun Visacustic film projectors. 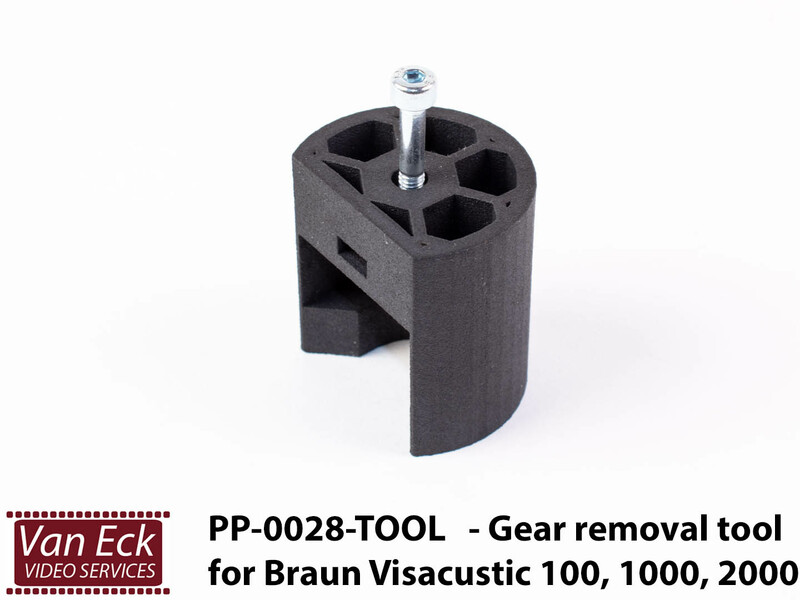 This pulley puller has been specially developed for this gear. Made of solid nylon and is therefore very strong. This notorious trouble maker in this fantasic projector can now be fixed definitely with this replacement gear. The the original extreme low noise level is retained. The replacement part can be built in by the owner, if the owner can handle a screwdriver with confidence. Otherwise a professional repair can be arranged in the workshop against the standard hourly rate.